Blue Whale: Rebuilt in 2010, Blue Whale is only ship on the Yangtze outfitted with blue glass reflects the elegance of a blue whale. 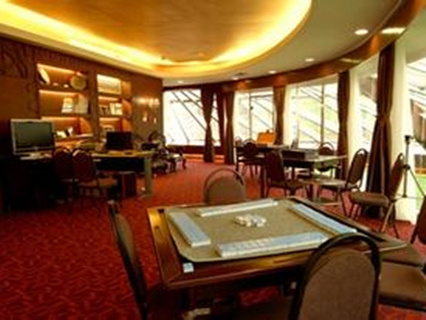 She is equipped with the center air conditioner, satellite TV, radio system, dining hall, bar, view hall, gymnasium, multi-functional meeting room, beauty saloon, clinic and business center and shop. All the rooms have balcony. Aboard the cruise at Chongqing Chaotianmen Port at 19:00. The cruiser will set sail at 21:30 pm. Please get on the cruiser on time. Have buffet breakfast at 8:00 in the morning. The cruise will arrive at Fengdu. Take an optional shore excursion to Fengdu Ghost City (CNY 290 per person) if you like, known for its statues of ghosts and devils on Mingshan Hill. Have buffet lunch at noon. Then the cruise will arrive at Zhongxian Port in the afternoon. Shore excursion to Shibaozhai, with its impressive wooden pagoda, appropriately named “The Pearl of the Yangtze”.The visiting time is about 2.5 hours. 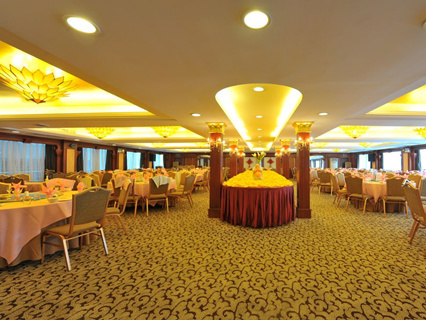 Have dinner and enjoy Captain’s welcome banquet in the evening. In the morning, the cruiser will stop in Fengjie wharf. You can either arrange your time on your own or take an optional shore excursion to White Emperor City (CNY 290 per person), an ancient city overlooking the western end of Qutang Gorge. Then sail through Qutang Gorge, the shortest (5 miles), narrowest (500 feet), and most dramatic gorge. Then enjoy the amazing Wu Gorge. The character Wu in Wu Gorge means witch, and that is named after the Wu County in Chongqing municipality and represents the mysterious scenery in this Gorge. In fact, Wu Gorge is considered as the most beautiful and elegant gorge among the three gorges. The most famous scenic spot in Wu gorge is the goddess peak, where on the peak, there is a goddess stone. Have buffet lunch at noon. In the afternoon, arrive at Wushan Port. Take a boat to visit Goddess Stream. In the evening, there will be a Captain’s Farewell Banquet and a crew show. After that, we will enter Three Gorges Dam, at 22:00 pm. We will broadcast you the actual time that the cruiser sail through the ship locks. It takes 3-4 hours for the cruiser to sail through the ship locks of Three Gorge Dams. You can have a experience of "water lift" on the cruiser. Have breakfast at 7:00. Shore excursion to the Three Gorges Dam, one of the most controversial international river issues. The dam crosses the Yangtze River, which is the third largest river in the world,at a point where the river is a mile wide. Three Gorges Dam lies in the south bank, a town named San Dou Ping. This town is a core area for visitors' observing the Three Gorge Dams. You can get a perspective of the whole Three Gorges from here. Then the cruise will go through Xiling Gorge. Come to the sundeck to enjoy the scenery of Xiling Gorge. It is best known for its numerous shoals and turbulent torrents. It is the longest gorge among the Three Gorge. Arrive at Taohuacun Port at Yichang at 12:00. Disembark and that's the end of the tour. Note: The itineraries listed in the form probably be adjusted owing to the bad weather, water level, temporary navigation control and prohibition. Aboard the cruise at Yichang at 19:00. Check in. There will be a briefing to help you know the cruise better. Set sail at 7:00 in the early morning. 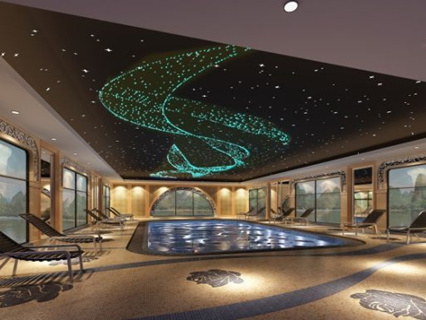 The cruise will enter Xiling Gorge, which is best known for its numerous shoals and turbulent torrents. It is the longest gorge among the Three Gorge. Have buffet breakfast at 7:30. 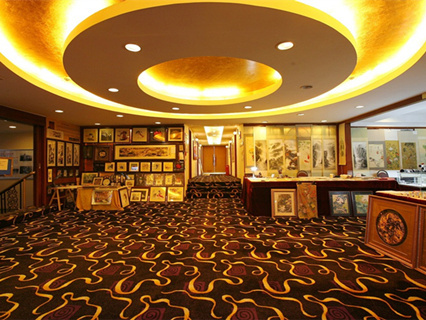 Free on your own on the cruise or you can take an optional tour to Three Gorges Tribe (CNY 290 per person). At noon, have buffet lunch. In the afternoon, shore excursion to Three Gorges Dam, one of the most controversial international river issues.The dam crosses the Yangtze River,which is the third largest river in the world,at a point where the river is a mile wide. Three Gorges Dam lies in the south bank, a town named San Dou Ping. This town is a core area for visitors ' observing the Three Gorge Dams. You can get a perspective of the whole Three Gorges from here. At 16:00, the cruise will pass through the five grade ship locks of the Three Gorges Dam. You will enjoy the experience of sitting on the water lift. In the evening, there will be Captain’s welcome Banquet and Dinner. Don't miss it ! Around 07:00, breakfast time. About 8:00 o'clock, transfer to another boat for a relaxing excursion through the attractive gorges of Shennong Stream. Stay here for around 3 hours. Have buffet lunch at 12:00. During 14:00 and 16:00, enjoy the scenery of Wu Gorge and Qutang Gorge. The character Wu in Wu Gorge means witch, and that is named after the Wu County in Chongqing municipality and represents the mysterious scenery in this Gorge. In fact, Wu Gorge is considered as the most beautiful and elegant gorge among the three gorges. The most famous scenic spot in Wu gorge is the goddess peak, where on the peak, there is a goddess stone. Qutang Gorge is the shortest (5 miles), narrowest (500 feet), and most dramatic gorge. Optional shore excursion to White Emperor City (CNY290 per person), an ancient city overlooking the western end of Qutang Gorge. Around 8:00 am, breakfast time. Arrive at Fengdu. Shore excursion to Fengdu Ghost City. Have lunch at 12:00. After having breakfast, the cruiser will arrive at Chaotianmen Port in Chongqing. Disembark and that's the end of the tour. Shore excursion as listed. Personal expenses such as laundry, pay TV and so on. I enjoyed my trip with ease and comfort. Its due to Wang good service for keeping us inform all the way up to we board the ship. 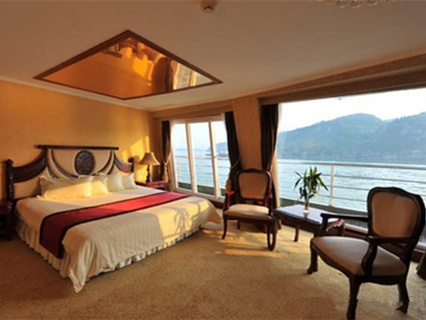 We enjoyed our Yangtze cruise experiences. Staff service, food and room at Victoria Lianna is up to expectation. Thank you to you all. more.. I was the ONLY ENGLISH SPEAKING PATRON on the ship! 85% of the tours and announcements made were in Chinese. I was very disappointed in that as well as the quality I this ship. It was a clean as it could be but the molding/caulking in the room was in much need of repair. 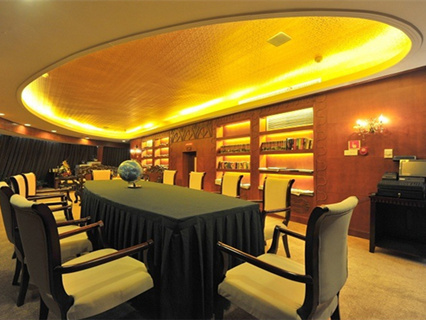 The wall paper was stained and bubblin more..
Enquiry : Inquiry about ,standart, Start from ,Chongqing - to Yichang,How much is the Price for a cabin for one Person without sharing it with an other Person? Reply : Thank you for your email to Chinatour.Net If you’d like to stay in one room alone, the price is $350*175%= $612(3938CNY). Please don’t hesitate to reply me if you have any questions.